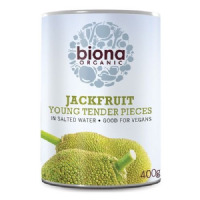 Young tender pieces of organically grown jackfruit in salted water. Just drain and use in your favourite dish. 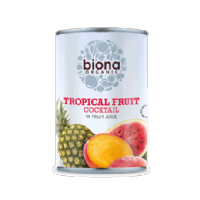 Organic Tropical Fruit Cocktail in Fruit Juice. 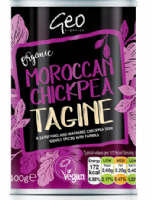 A vibrant saucy dish with delicious sweet and fruity tones and a hint of chilli. A delicately spiced dahl made with yellow split peas, coconut milk, kale and tomato. A warming chickpea dish gently spiced with paprika.